Yosemite National Park is one of my favorite places in this world. I’m an avid backpacker, so I’m lucky to live around 3-4 hours from the park. A recent visit inspired me to create these posters. 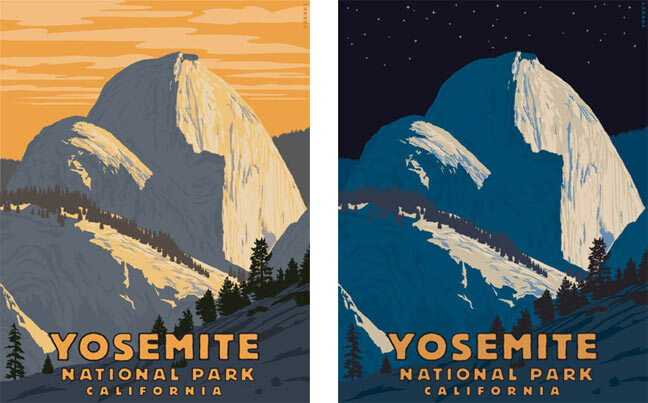 It is reminiscent of the famous WPA National Parks posters of the 1930s. Both were created in Adobe Illustrator using a minimal palette of flat color, similar to the traditional silkscreen process. At first I created the daylight version but then thought that a nighttime full moon version might work. 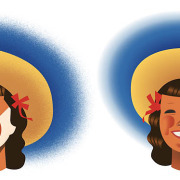 Speaking as one who started his illustration career using an airbrush prior to the digital revolution, it was nice to be able to clone the original work and adjust the colors instead of creating a whole new separate piece of art.